Some days it's just not worth getting up in the morning. Quite the tide of Cheerios. "You've got Tide in my Cheerios!" "You've got Cheerios in my Tide!" 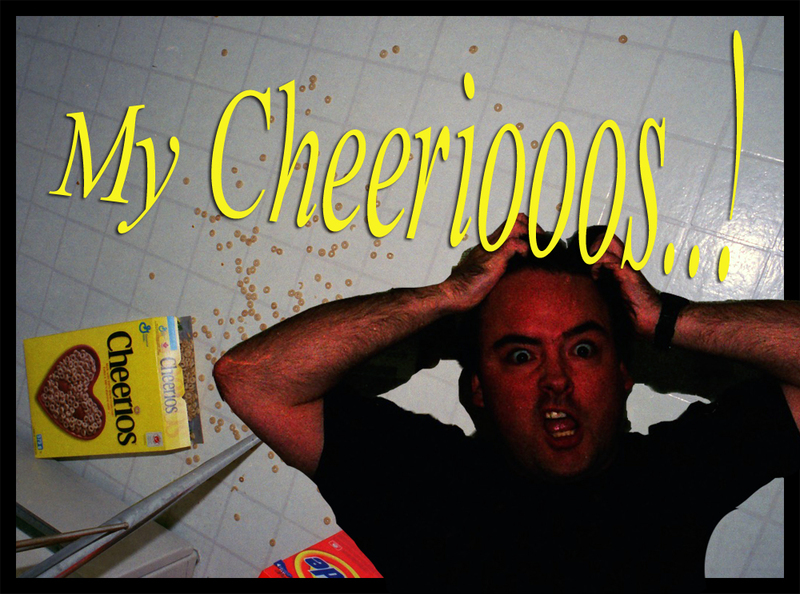 "Tragic events in Edmonton as a suicide cult apparently ingested Cheerious laced with detergent. Locals are mystfied at this occurance, 'They were such quiet people...'"
For Tammy: Count Chocula. The only true and proper cereal with chocolate. I haven't eaten cereal in years, though, after kicking a nasty habit I had at University with Cap'n Crunch Crunchberries (once named the unhealthiest cereal ever produced). Love those 1970's-era cereals with the Jay Ward-inspired cartoon mascots!